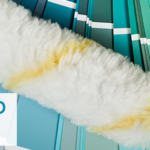 Painting your home can be exciting as you are making everything look fresh, clean and vibrant. 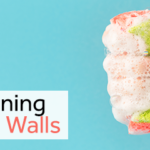 Unfortunately though, after your walls are painted, you may smell a strong paint smell. Those who are sensitive to scents or chemicals may be most affected, while some people can even get sick from it. Fortunately, though, there are several tips and tricks that can be used to get rid of the smell in no time. 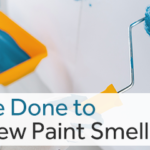 Here are a few ways to get rid of new paint smell in your home quickly. Charcoal is one of the best-known odor absorbers thanks to its porous texture. And it’s also natural, so you don’t have to worry about any chemicals. Simply place some bowls of crushed charcoal around the painting area, and within a few hours, the smell should be better. Or put the bowls out before the painters arrive for an early start. You can find crushed charcoal in most health food stores. Baking soda is another great natural deodorizer. The advantage it has over charcoal is that it is much easier to find and is much cheaper. Simply place it around your home and wait for it to absorb the smell. 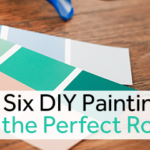 You can also sprinkle it on your carpets if the painted room is carpeted, and then just vacuum it up afterward. Water and lemon is another fairly cheap way to get rid of the paint smell. And unless you don’t like the clean citrus scent of lemons, it should be a total win for you. Simply fill a bucket with water and toss in the lemon slices. Leave it overnight for best results. You can also add salt for better results. Vinegar is a solution that many people are hesitant about due to its scent. It’s a great deodorizer, but it does have a smell you will have to put up with. If you choose this, make sure you use smaller amounts and don’t leave it out as long. Also, make sure not to spill in your carpet, or the smell will be around longer! Coffee grounds are a natural deodorizer that will also leave your house smelling like a great cafe! So unless you don’t like the smell of coffee, this option is a win-win! People often think about burning candles to help mask the scent. However, you don’t want to cover up the smell; you want it to go away. Believe it or not, candles can actually do that as well. The flame will help absorb any smells in the air, and if you use a scented candle, it will smell nice as well. Just be careful and don’t forget to put it out before you leave the house or go to bed! You can always use a fan to help keep the area well ventilated. You should also keep your windows open if the weather permits. A steady flow of clean air is possibly the most important. Hiring professionals will not only ensure that the job is done well, but they are also there to help you out. You can always ask them for tips or suggestions they have about what to do for the smell. Just be sure to check with them and let them use their expertise to best help you. 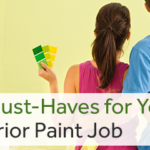 When you are looking to paint your home, let The Painting Company help you. Contact us today to get a free in-home quote.